Predecessor of U.S.S. 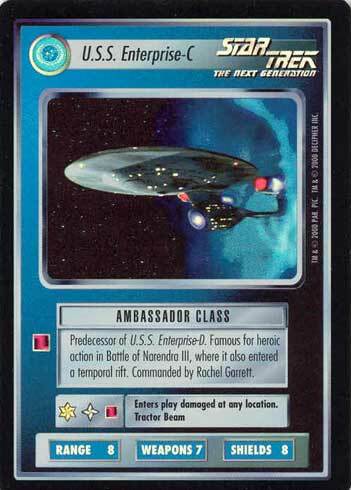 Enterprise-D. Famous for heroic action in Battle of Narendra III, where it also entered a temporal rift. Commanded by Rachel Garrett.